Monica Davis has worked for the IRS for 7 years. 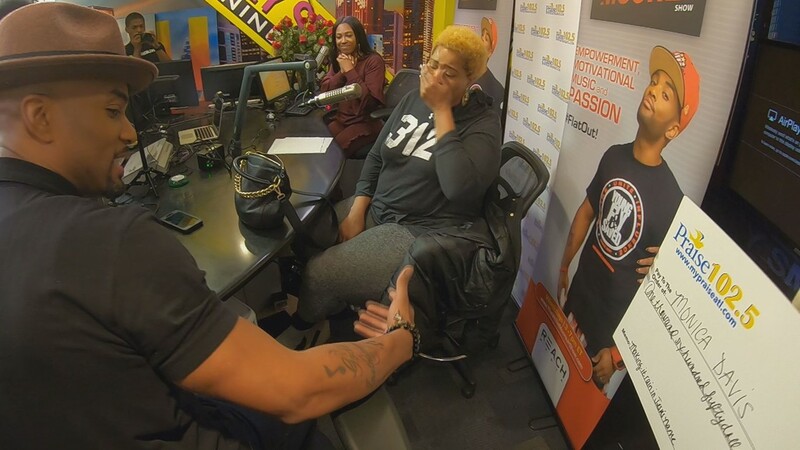 ATLANTA — A metro Atlanta woman who works for the government got a generous surprise, thanks to Atlanta's Praise 102.5 and the Willie Moore Jr. Show. Monica Davis has worked for the IRS for seven years in the agency's call center. "I love my job, I do," she said. But right now, she's one of the 800,000 federal employees who have been furloughed thanks to a government shutdown that has stretched to almost a month, with no clear signs of a compromise to reopen the government. Davis said it's made living and meeting her financial obligations extremely difficult. "Bill collectors, they don’t want to hear about the shutdown," she said. "It has been absolutely torturing." Her last paycheck was almost a month ago. Davis said she starts each day with a prayer. She created a GoFundMe page to help others in her shoes. "I set it up with the hopes of just helping in any way for anybody, whether it be to get gas in your car, whether it be to pay a bill or two or even three," she explained. Now she is reaping what she sowed - her prayers were answered. 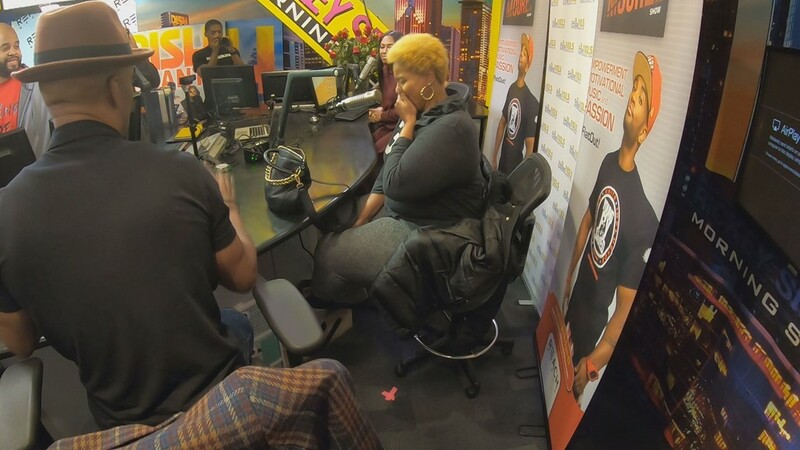 11Alive was the only station that captured the grand surprise at the Willie Moore Jr. Show on Praise 102.5, when they presented her with a check for $1,650. "I just believe we are the hand and feet of God, and we would like to be a blessing to you today," said Moore during the surprise. As for what she'll do with the donation: "I would like to pay my car off, and I just want to pay my rent," she said. Now that her prayers were answered, Davis has a message for others going through the same situation. "Hold on don’t give up," she urged. "Miracles do happen. I received a miracle today. 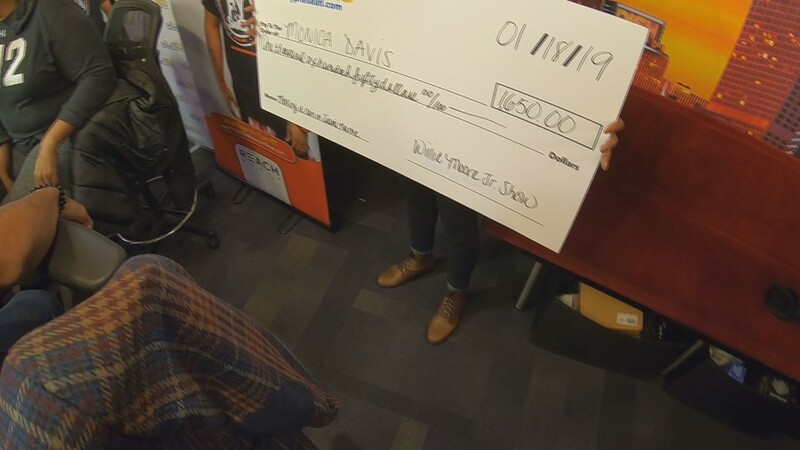 After receiving the check, Davis said she's more committed to giving to others what was given to her - her GoFundMe Page. 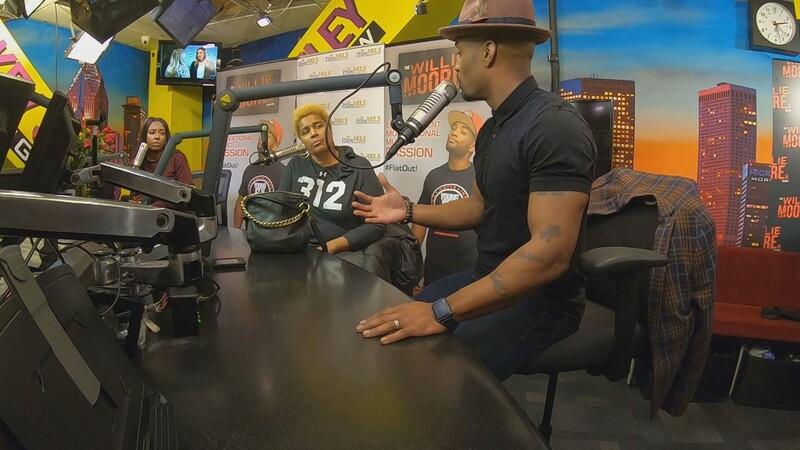 The nationally-syndicated show started a mission to raise more than $50,000 to give away to furloughed federal workers. Willie Moore Jr. said this is just the beginning of that payout. 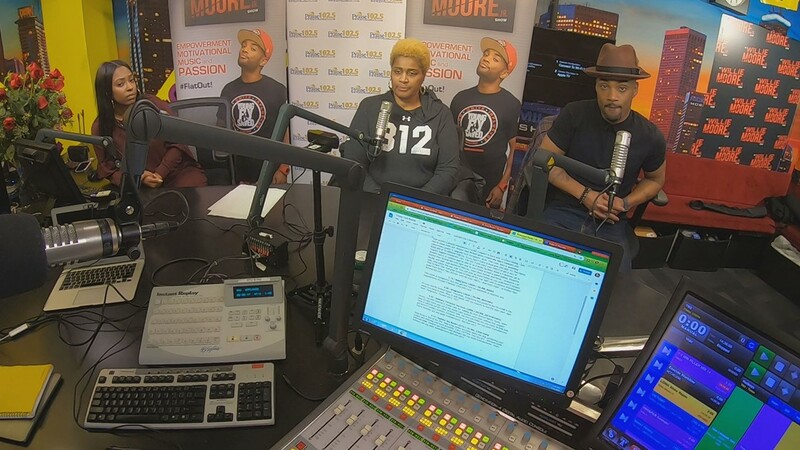 The Willie Moore Jr. Show surprised Monica Davis with a check.